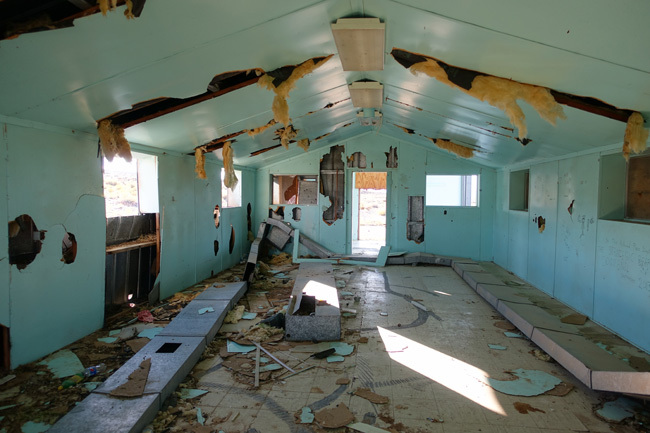 Green River Launch Complex, a sprawling abandoned military installation and Cold War relic, occupies a vast stretch of barren land in Eastern Utah. 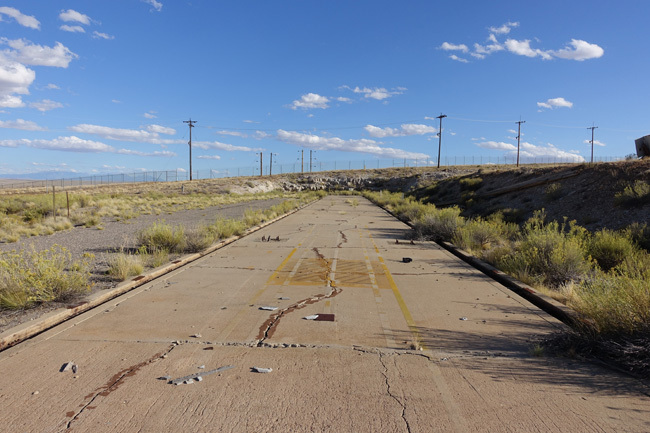 From 1964 to 1979, it served as a test facility for Air Force and Army missile programs. 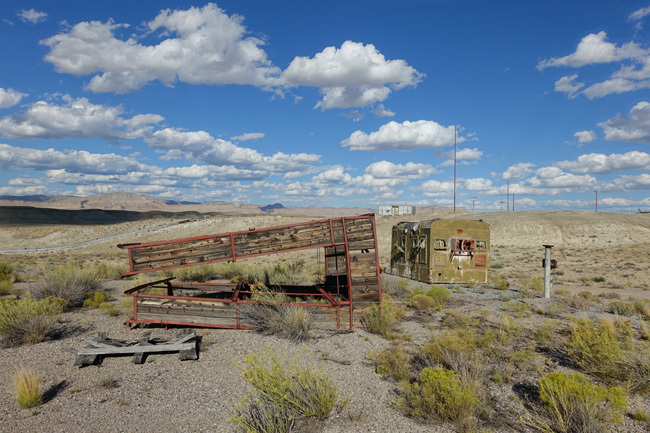 Now it languishes beneath the harsh desert sun while scrappers and the elements slowly chip away at its remains. 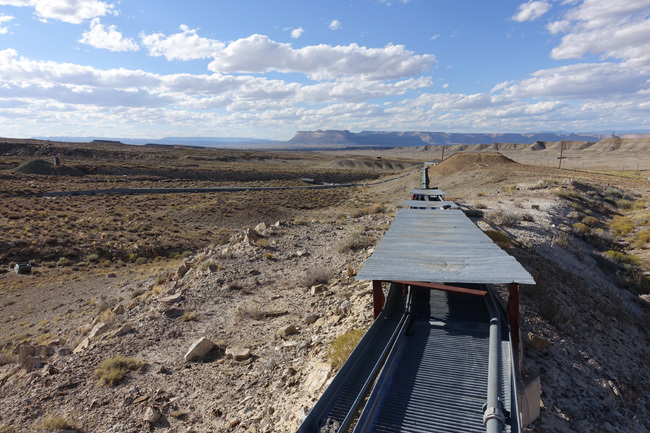 After an unplanned detour in Sevier, UT to check out an awesome train graveyard, I got back on the freeway and headed to Green River. 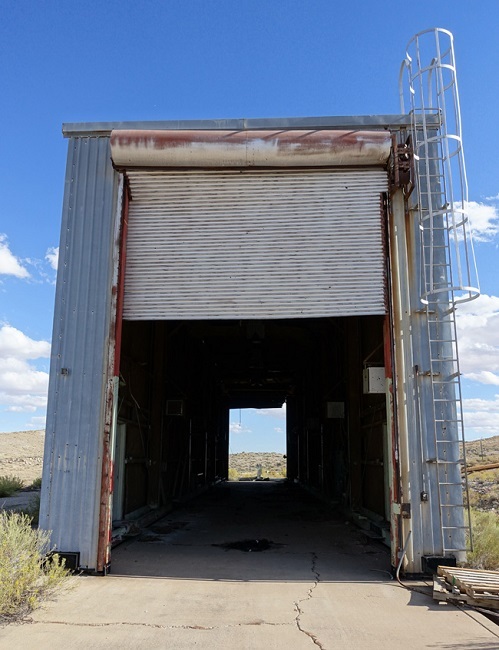 I'd heard there wasn't much left of Green River Launch Complex, except for a few concrete foundations, so my expectations were fairly low. After a long drive down a rough unpaved road, I was surprised and delighted to find that quite a few buildings still remained. 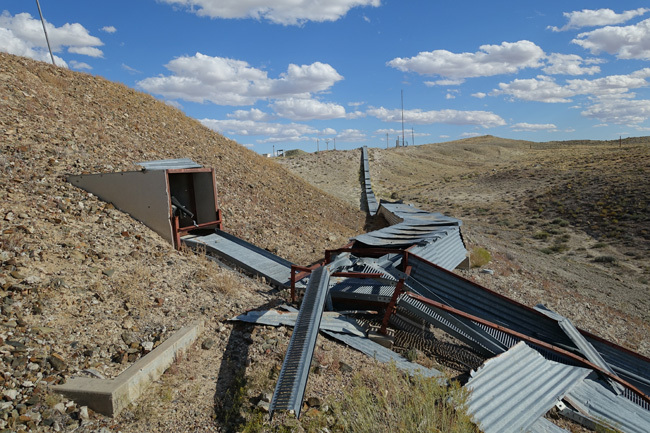 Long metal conduit boxes that resembled conveyor belts meandered across the hillsides, connecting buildings and underground tunnels. It was a strange and beautiful sight. 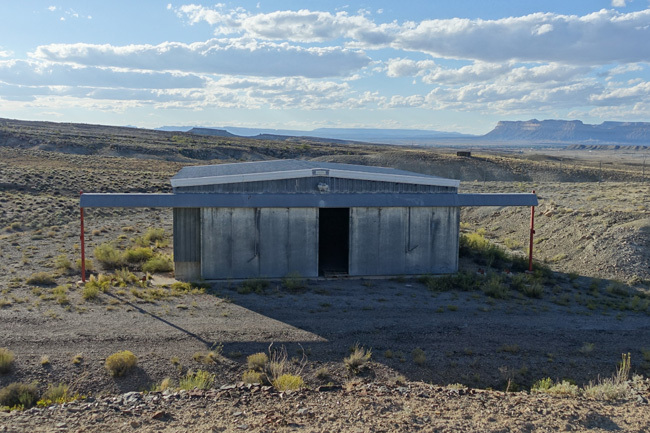 The first place I explored was a reinforced concrete blockhouse, a bunker-like structure that once housed the control equipment for Green River's Athena Missile Launch Complex. 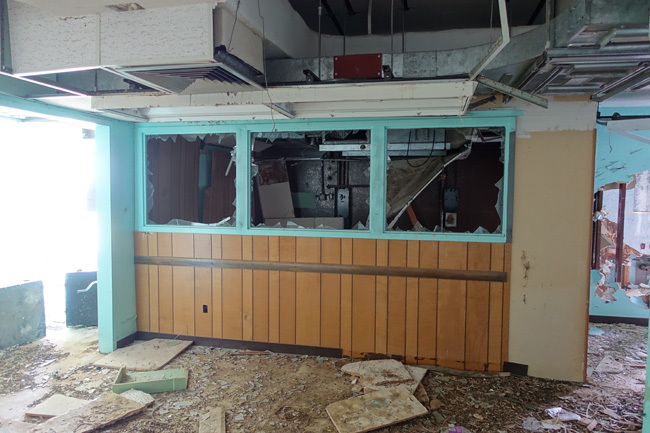 The building was almost entirely stripped and had been heavily ransacked. 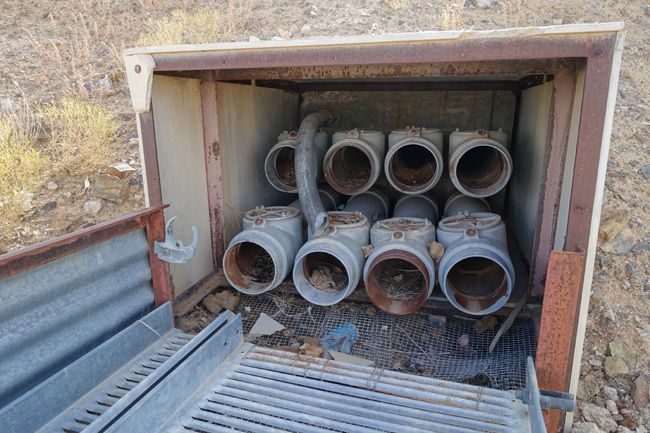 I went outside to take a closer look at the conduit boxes. 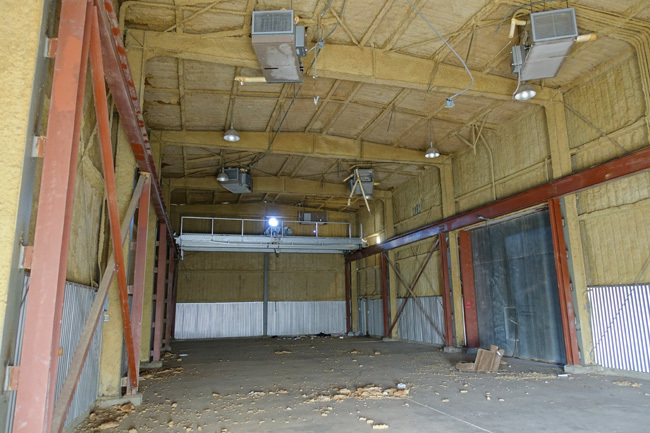 The pipes and wiring that they once contained had been completely removed by scrappers. 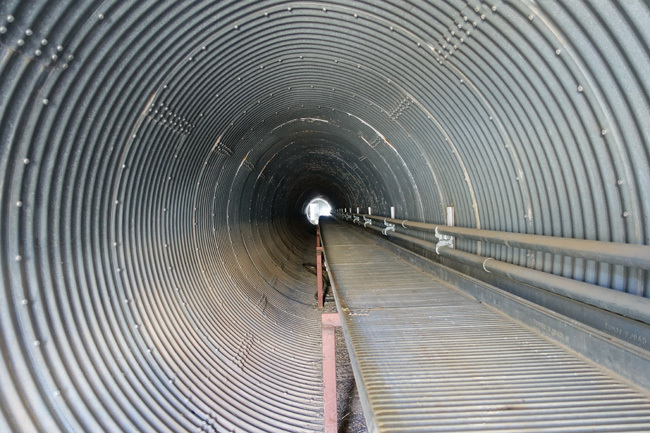 I followed one of the conduits to a tunnel that cut through one of the hills. 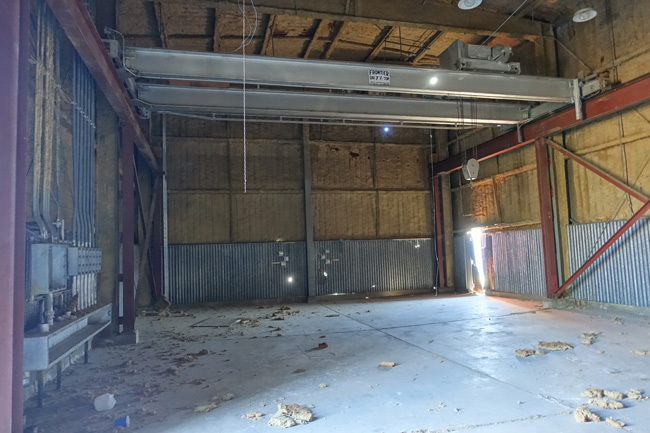 On the other side, I was greeted by the sight of a tall steel building with a garage-style door that hung halfway open. 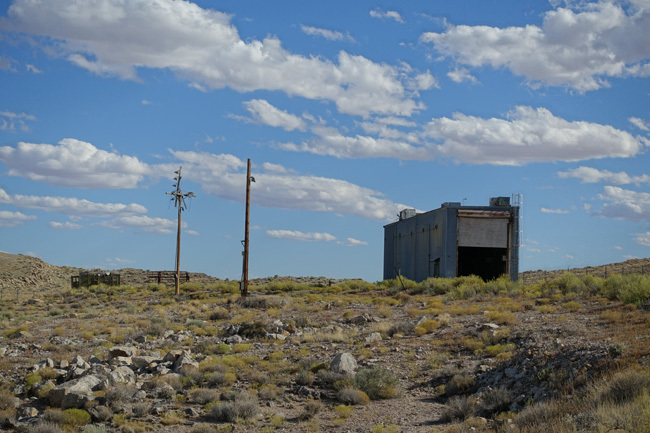 The structure was a Temperature Controlled Environmental Enclosure (TCEE), in which the Athena missiles were assembled and prepared for launch. Each TCEE was situated on rails. Just prior to launch, the structure would be rolled away to expose the missile, which was then raised into firing position. 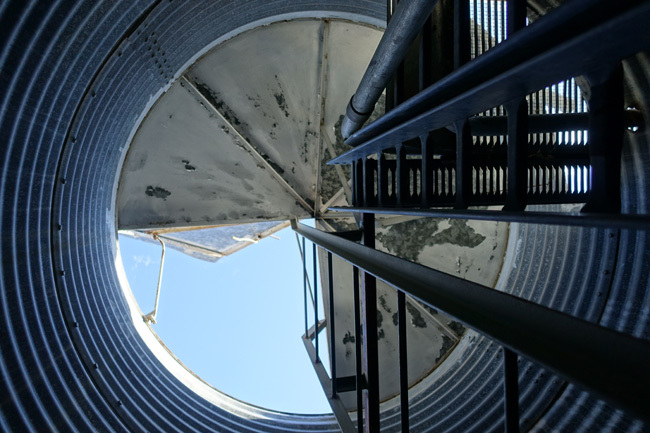 Between the rails outside sat a concrete cylinder, which had once supported a gantry platform. 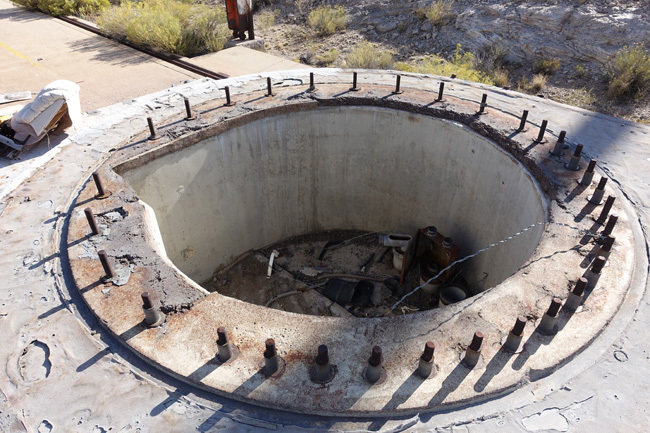 Its hollow center functioned as a conduit and allowed for venting during test launches. 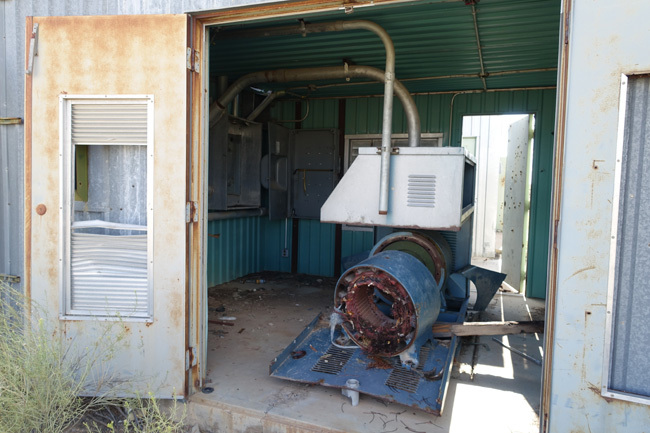 There were several smaller structures nearby, but I'm not sure what functions they served. This one looked like it could have housed a hobbit or gnome. As I was exploring, an SUV drove up. I approached with a smile and a friendly wave, hoping I wasn't about to be kicked off the property. I hadn't seen any no trespassing signs or anything else to indicate that I wasn't supposed to be there, but I was still a little nervous. A man, his wife and their dog got out of the SUV. I introduced myself and he told me his name was Jim too. 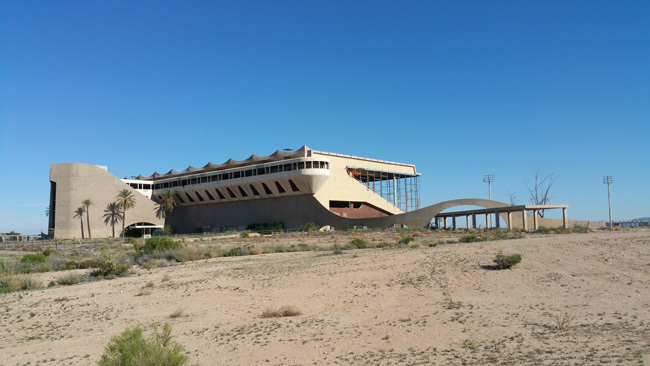 He had worked at the base in the '60s and was kind enough to tell me about the various buildings their functions. 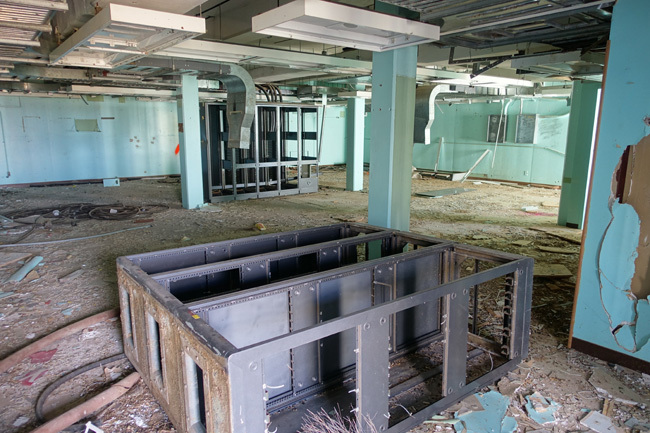 He comes back to visit the site every few years and finds that fewer structures and equipment remain each time. 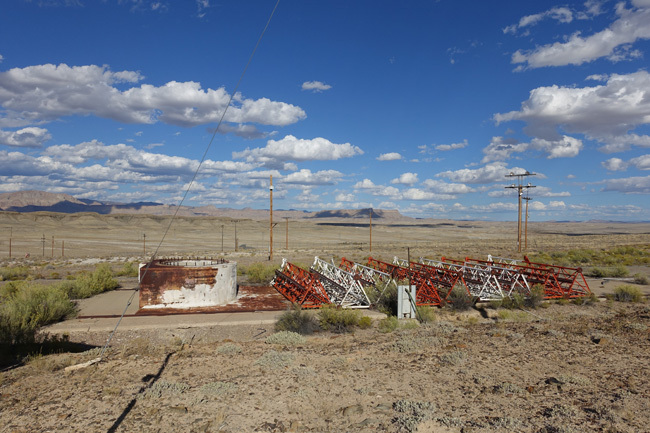 He explained that prior to each missile test launch, the equipment had to be balanced at facilities several miles down the road. 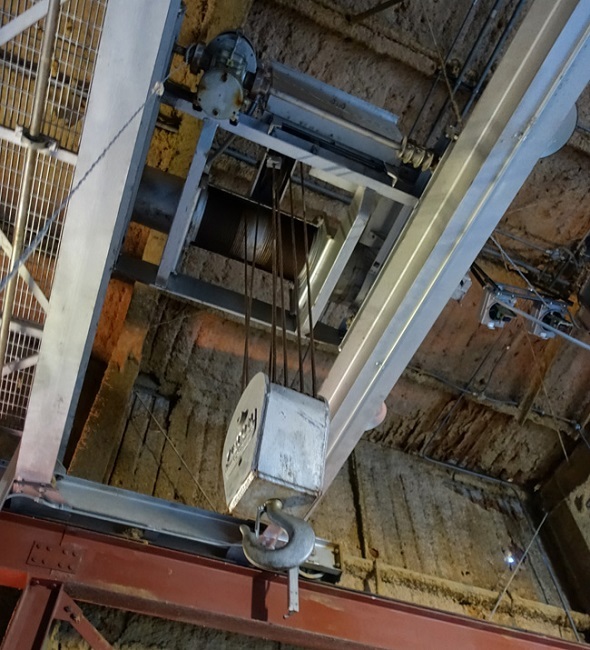 After balancing, the equipment was driven very carefully and slowly (3-4 miles per hour) to the launch site, making it a very time-consuming process. 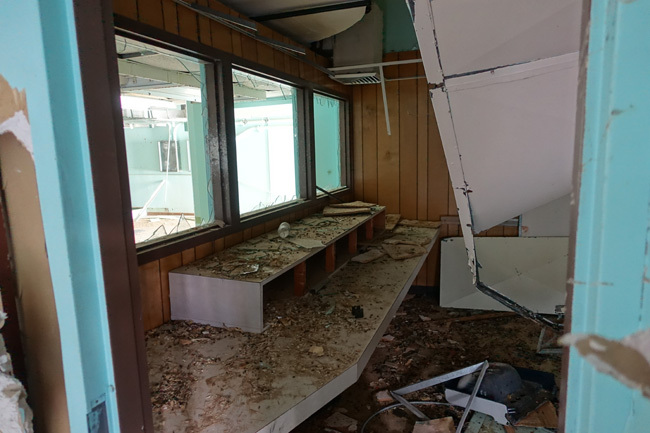 After Jim and his wife left, I continued exploring and made a note to check out the facilities he had mentioned down the road. 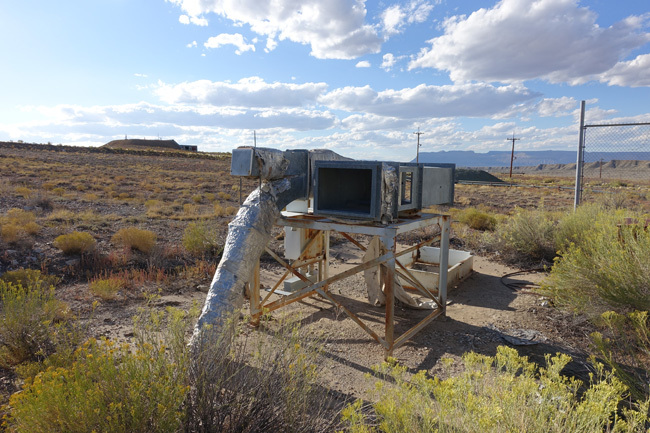 The box conduits were interrupted by the road at one point, so I took a closer look. 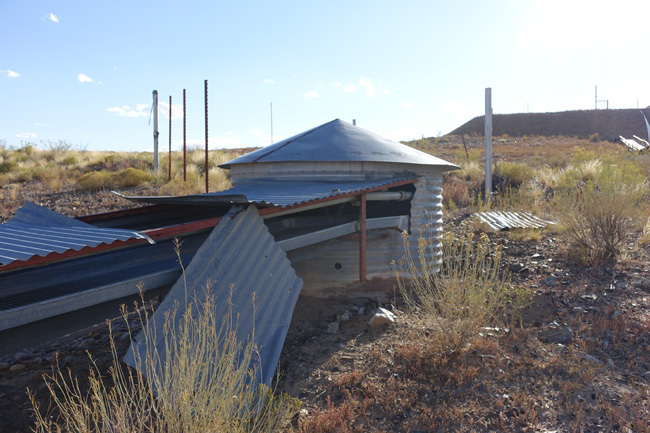 Alongside the road are two cylinders with conical roofs, where the conduits take a brief detour underground. The ladder was very sturdy, so I climbed down. 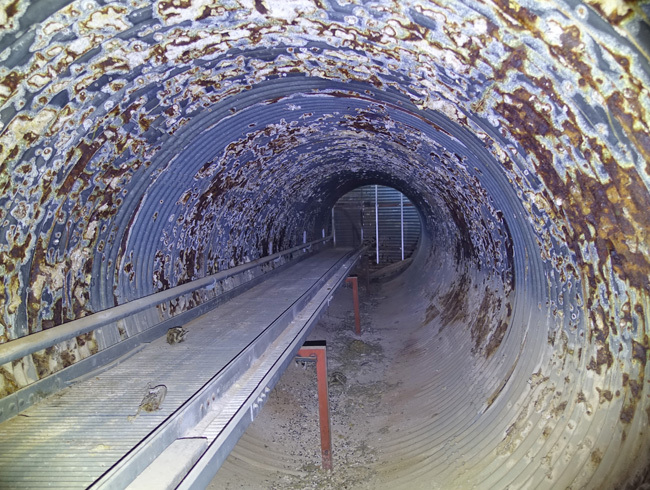 The short segment of tunnel ran for several dozen feet before leading back up to the surface. 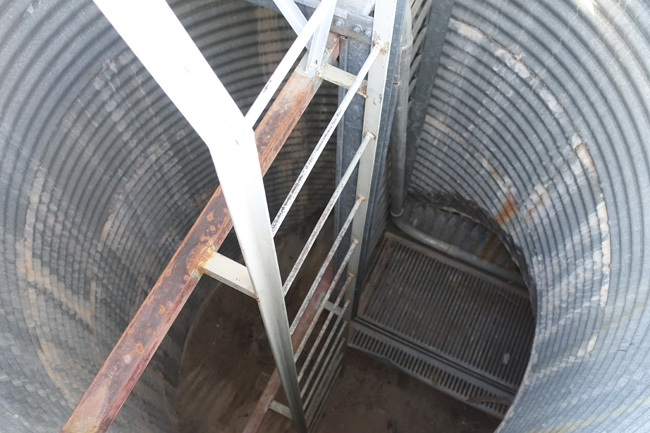 Unfortunately the short length of subterranean conduit was a death trap for rabbits and other creatures. 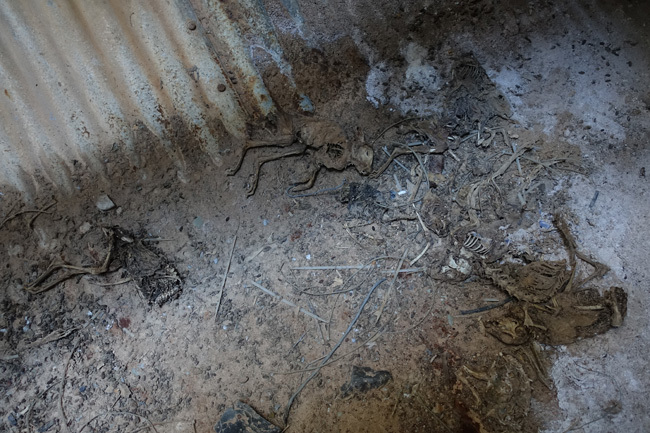 Bones and mummified corpses of small animals littered the floor. 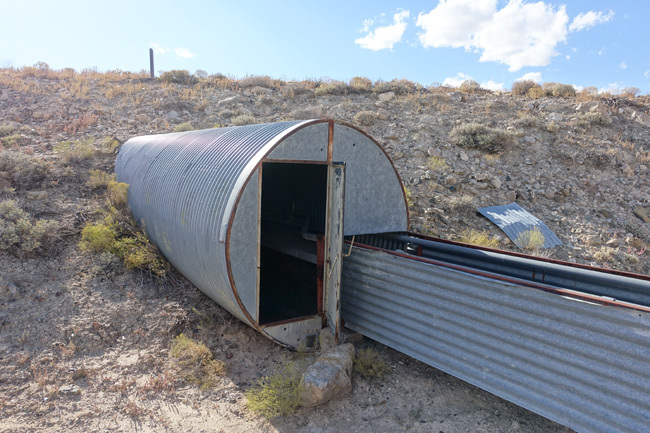 I shuttered to think of the dozens of animals that had ventured down into the tunnel over the years, found that it was too deep to jump or climb out, and then slowly died of starvation. 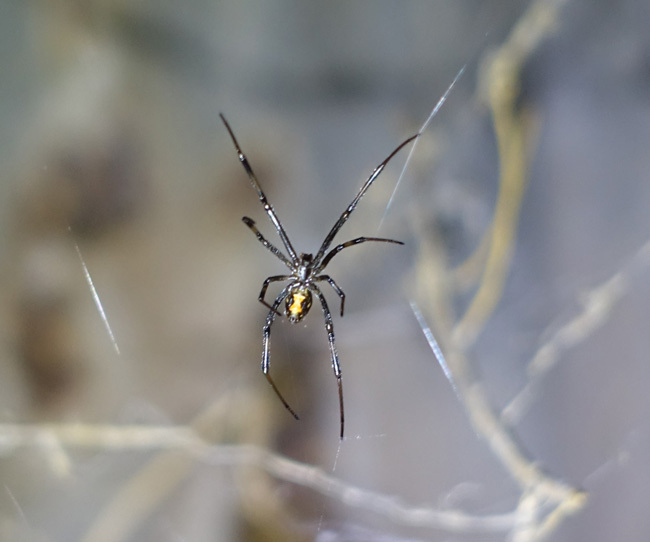 I did happen upon one inhabitant that was still alive: a black widow. Thankfully, I returned to the surface without incident. 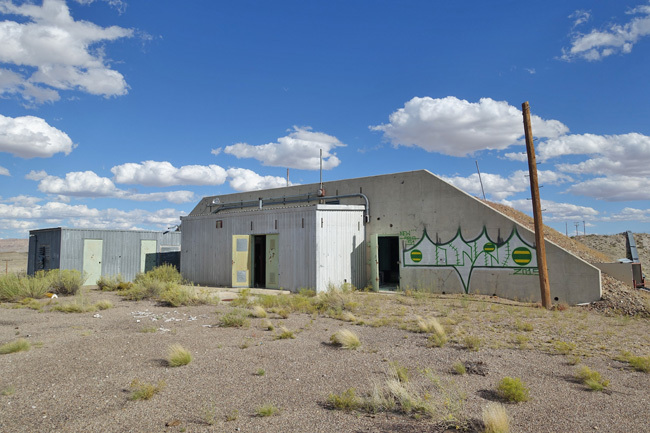 Green River Launch Complex (also known as Utah Launch Complex, Green River Test Site, Green River Test Complex, and Green River Missile Launching Site) was a subinstallation of White Sands Missile Range, which is located in New Mexico. 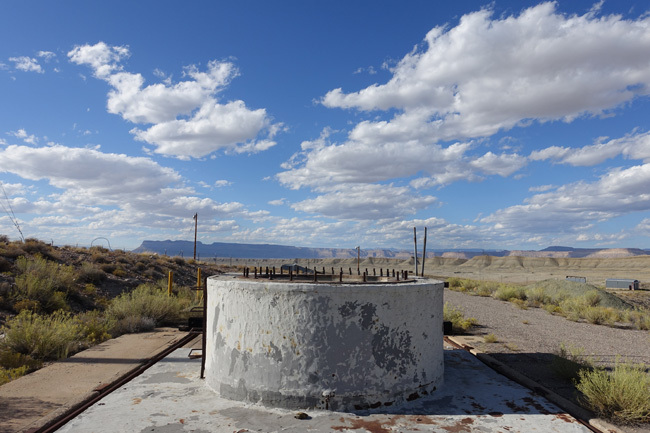 Established in 1962 as a missile launch site for the ABRES (Advanced Ballistic Re-entry System) program, the Green River base remained active until 1979. From 1964 to 1975, roughly 244 test launches were carried out, including Pershing and Athena RTV missiles. 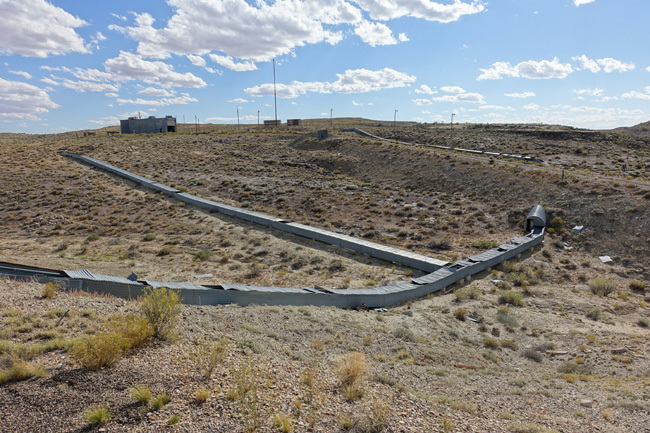 Over 140 Athena RTV missiles were launched from Green River, achieving altitudes of 300 km and speeds of 6700 m/s, and traveling 450 miles to reach their targets in White Sands Missile Range in New Mexico. 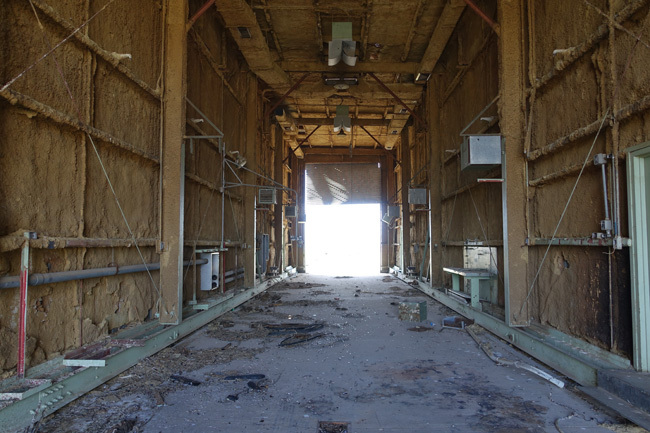 After exploring the Athena Launch Complex, I drove down the dirt road to check out a few more buildings on the base. They were in very rough shape and had been thoroughly stripped. I stopped to check out the balancing facilities Jim had told me about. There were three of them, spaced a good distance apart. 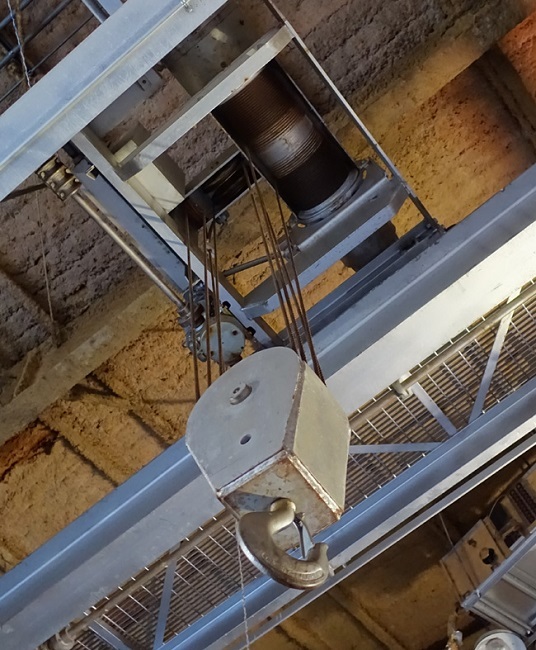 but hoists still hung from the ceiling. 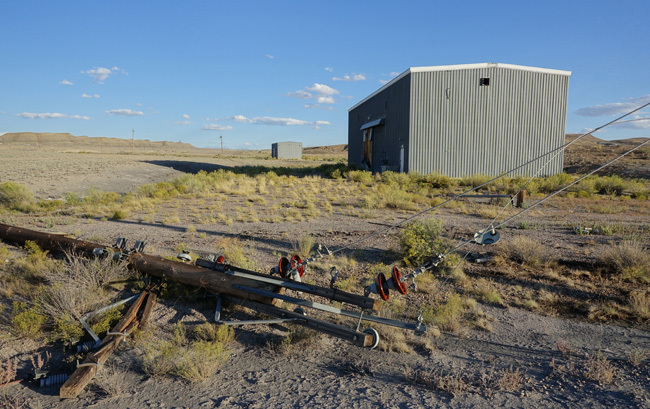 After exploring Green River Launch Complex, I had several hours of daylight left and intended to make good use of it. 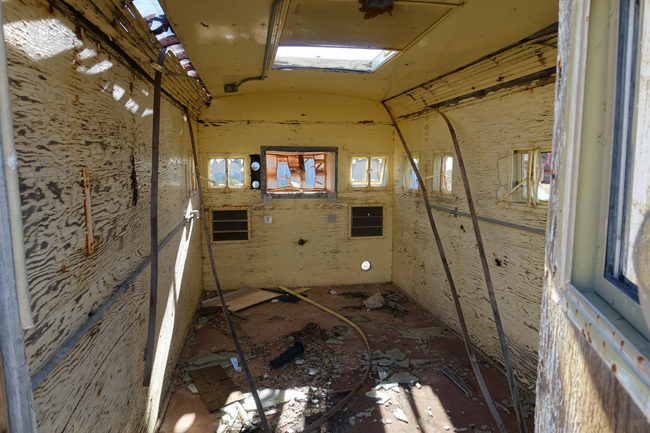 I continued east to Thompson Springs, a treasure trove of fascinating abandoned places. You're really lucky to meet the "other" Jim! The small green house, looks like its made out of old bus, isn't it? it would be nice if that house get renovated again. Once again, you take a really awesome pictures. Thanks for sharing! Thanks, Flesi. I was very lucky to meet Jim and hear about his time working at the base. I hope someone puts the land to constructive use. 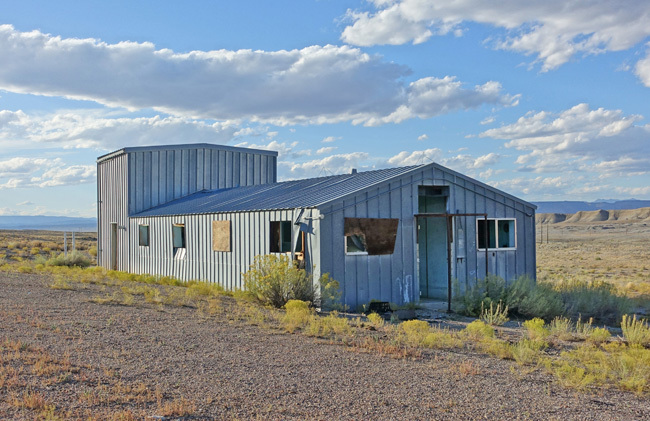 Hubby and I stay in Green River at least every couple of years--and yet we did not know about this. Will have to put that on the list. I didn't even know about Wild Horse Canyon Rd, but it sounds amazing. I'll need to check it out next time I'm in the area. Thanks for the tip! Do you know who owns the property? That will be a very effective research, I am sure! The military bases in the us, its locations, latest developments in IAR, operations, IT and all can be known now from a great website. Isn't it amazing? From 1968 thru 1972, as a young air force officer, I was a member of the team that managed the ABRES/Athena flight tests. 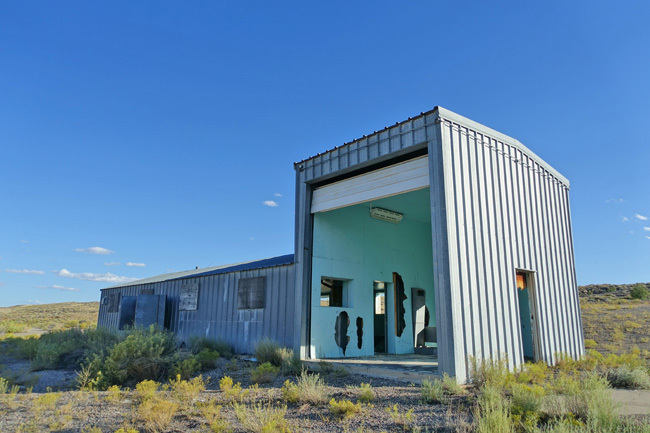 I had the privilege of being present both in the block house and down range in the White Sands Command Center for a number of Athena missions. 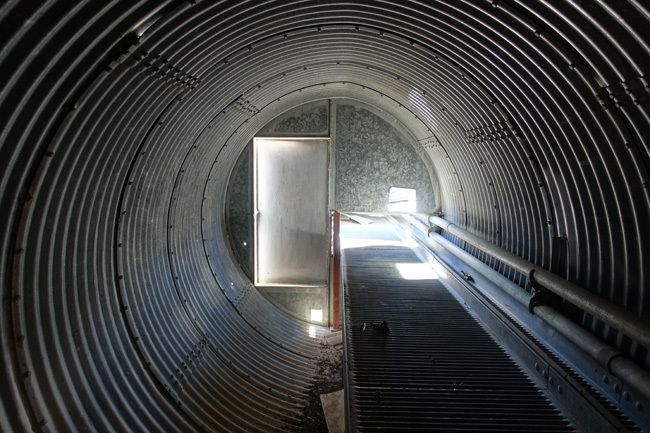 Athena provided invaluable data and information on reentry phenomenology and physics that aided in overcoming the Soviet threat from ICBM first strikes. 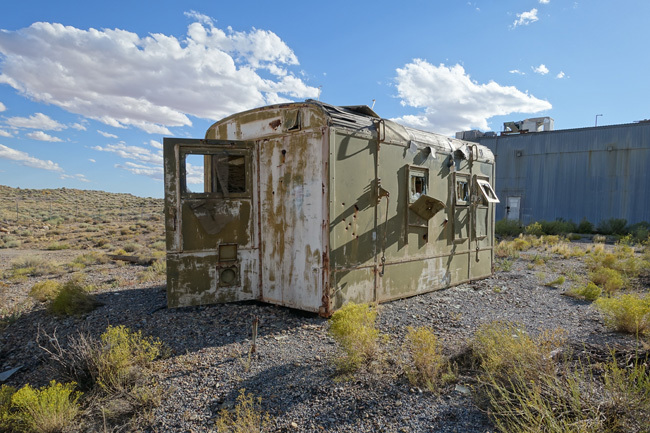 It is saddening to see what has become of this one-time critical resource that played such a strategic roll in missile and reentry systems R&D. 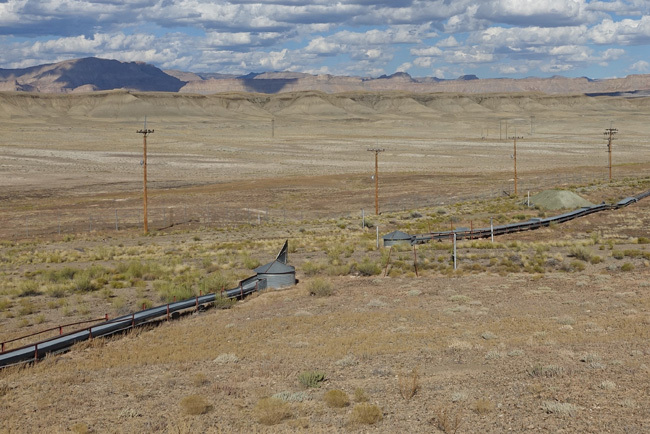 I hope to "kick the dirt" at ULC one day soon to remines and listen for the echo of the rocket motors.